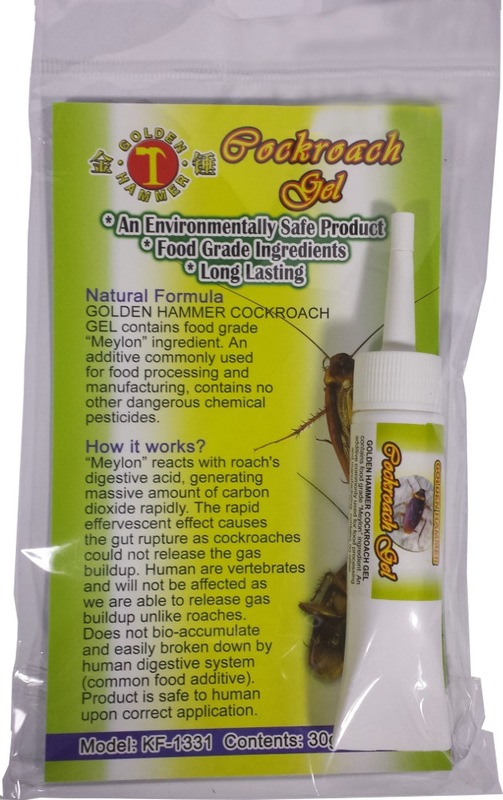 Natural Formula Golden Hammer Cockroach Gel contains food grade Meylon ingredient. An additive commonly used for food processing and manufacturing, contains no other dangerous chemical pesticides. Meylon reacts with roach's digestive acid, generating massive amount of carbon dioxide rapidly. The rapid effervescent effect causes the gut rupture as cockroaches could not release the gas buildup. 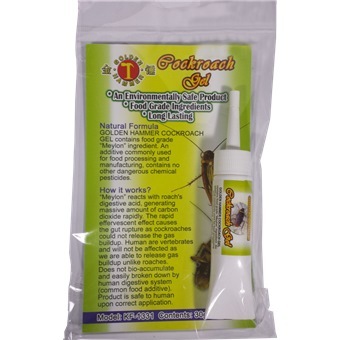 Human are vertebrates and will not be affected, as we are able to release gas buildup unlike roaches. Apply by squeezing a small amount in areas and place 4-10 squeezes per meter of horizontal surface where cockroaches frequent such as along walls or corners, under or near kitchen appliances and industrial equipment, under sinks, in cabinets, and utility areas.